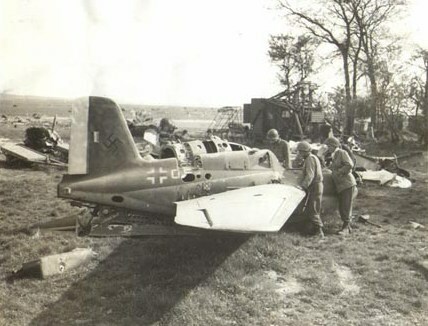 This photo was made on 2 May 1945, the airfield being taken on 16 April, and is probaly the earliest photo after the capture. The full text of the caption is shown below. Kas., and Sgt. Charles Christianson, 210 S.